Stress can cause several negative effects on the body, including causing more symptoms for allergy sufferers," said allergist Amber Patterson, MD, lead study author and ACAAI member. "Our study also found those with more frequent allergy flares also have a greater negative mood, which may be leading to these flares." Women who ate a diet high in fresh fruits and vegetables as young adults were much less likely to have plaque build-up in their arteries 20 years later compared with those who consumed lower amounts of these foods, according to research. This new finding reinforces the importance of developing healthy eating habits early in life. (HealthDay News) --- Happier seniors can look forward to greater mobility as they age than their gloomier peers, new research suggests. The researchers, who study happiness and how it relates to life, wanted to understand the physical effects of happiness. "We have previously shown that positive well-being and enjoyment of life are predictors of longer life," Steptoe said. "Older people who report greater enjoyment are less likely to die over the next five to eight years than those with lower enjoyment of life." 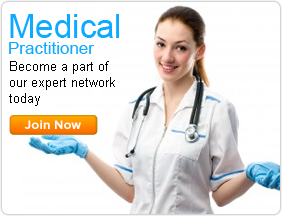 Setuhealthcare welcomes all Health Care providers to join SetuHealth Care online Health Directory. We are creating an unique online directory of health care providers, be it a family physician, specialist or alternative therapist. Joining SetuHealth Care web Health Directory is a distinct unique way for you to enhance your presence , it also provides an easy path for you to reach out to a lot of enthusiastic people interested, but unaware of your services. Let us know about you, your specialties, services offer by you and facilities provided by you. We will include your details in our listings. Our team will do the rest of the work. 3.Create your profile on our website. Health care organizations, hospitals, clinics. For those of us who exercise, it will come as no surprise that a morning stroll can perk up your mood. However a new study has shown that not only can light activity treat depression, it can actually prevent it. Researchers looking at 26-years' worth of data have shown that people who exercise when they're young are less likely to become depressed as they get older. The project, which analysed data from 30 previous studies, found that in 25 of them there was a link between lack of activity and being diagnosed with depression in later life. (HealthDay News) -- Older men may reduce their risk of stroke by taking a daily walk. And that walk doesn't have to be especially brisk, British researchers report. The new study suggests that walking for an hour or two might lower the risk of stroke by as much as one-third, and walking three hours or more daily might cut the risk by two-thirds. "Stroke is a major cause of death and disability and it is important to find ways to prevent stroke, especially in older people who are at high risk," said lead researcher Barbara Jefferis, a senior research associate in the department of primary care and population health at University College London. Drug that help fat monkey to slim down-will help humans also!!! Yoga may offer effective treatment for depressed mothers-to-be.